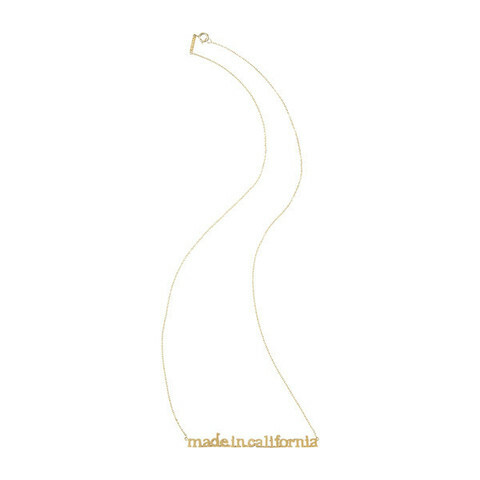 Jennifer Meyer’s “Made in California” necklace is sold out on Net-a-porter (and it appears, everywhere else.) The necklace was produced in collaboration with LACMA (LA County Museum of Art) and inspired by an Ed Ruscha print. Still, it was too cute not to share. Married to Spiderman. Maker of pretty things and lover of modern art. Jennifer Meyer, we here at Gifty McGifty, officially declare you to be our holiday girl crush.